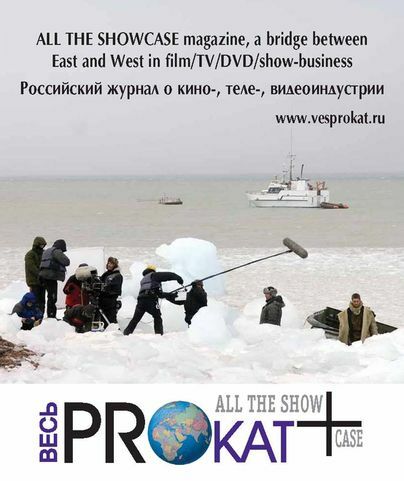 ALL THE SHOWCASE+ (ВЕСЬ ПРОКАТ+ ) magazine is a unique information source for and from the ex-USSR aimed to provide valuable easy-to-plan-and-handle information for Western professionals of global audiovisual industry – from projects-in-development to finished and awarded films, TV series, etc., all kinds of services and creative technologies. Content: News on film/TV\video industry from Russia, the ex-USSR and the Western world. Analytic surveys about Russian and ex-USSR industry. Special focus on professionals, their product and services to meet the needs of Western / ex-USSR markets with creative, financial and technological opportunities. Format: B-5, 80 pages color print & photos. 7-8 issues a year with print-run over 7500 copies. Language: Russian and English-language with special issues for the global events in the Russia / CIS, Cannes, Berlin, Los-Angeles etc.